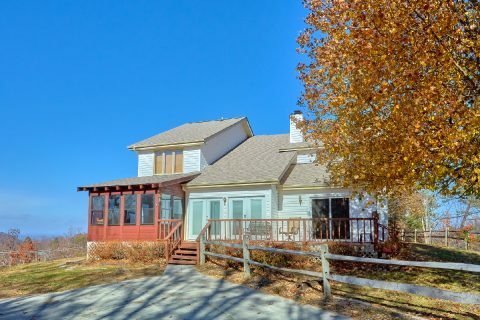 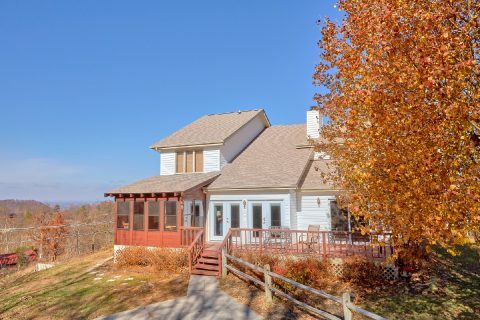 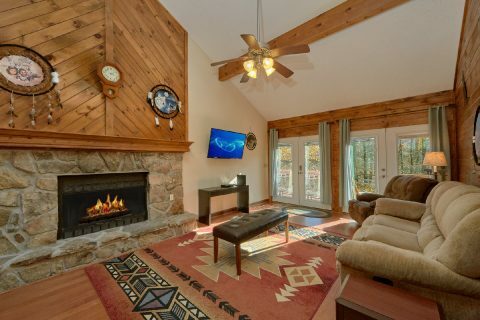 Nestled in the beautiful Upper Middle Creek road area of Sevierville, TN, you'll find "Casa Blanca," a lovely 5 bedroom chalet rental that sleeps up to 10 guests in comfort! 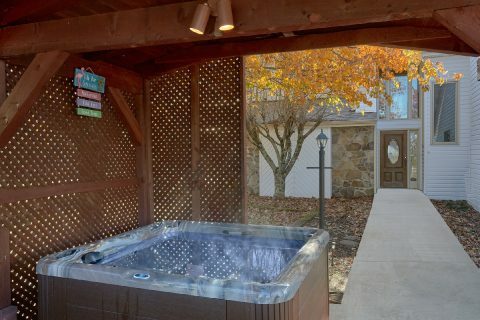 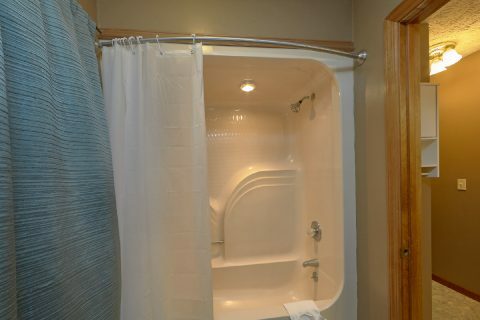 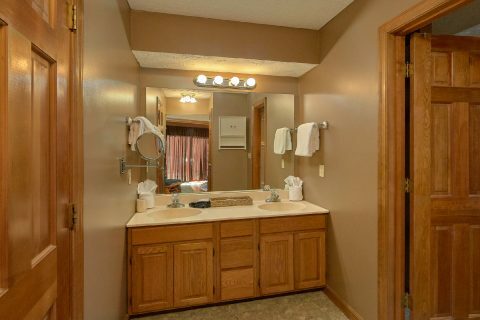 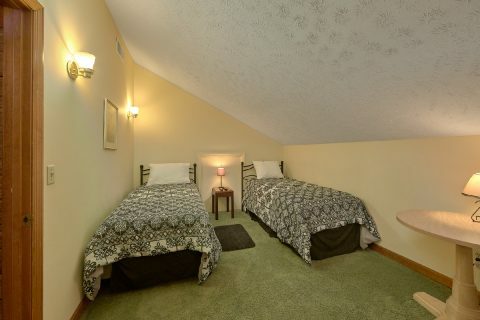 Not only does this rental in the Upper Middle Creek area keep you close to fun attractions like The Island in Pigeon Forge and Dollywood Theme Park, but it also provides quick access to Downtown Gatlinburg and the Great Smoky Mountains National Park via scenic back roads. 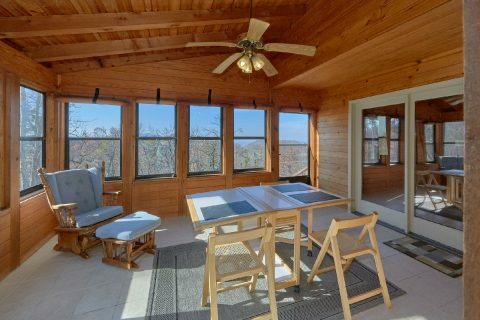 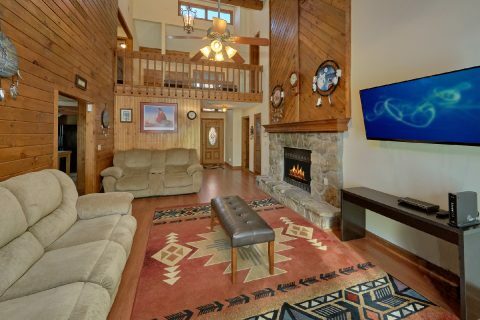 When you aren't busy riding roller coasters at Dollywood or hiking to overlooks in the national park, you'll love unwinding at this beautiful rental that keeps you close to all the action. 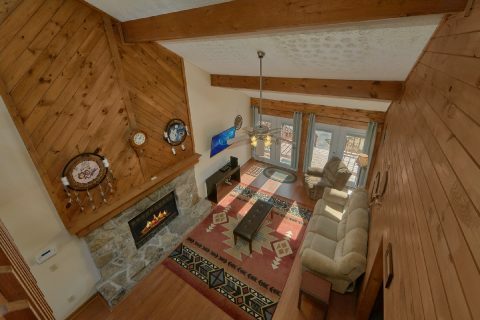 Inside the main level, you'll find the perfect space to unwind with family and friends in the living room complete with a large gas fireplace and a large flat-screen television. 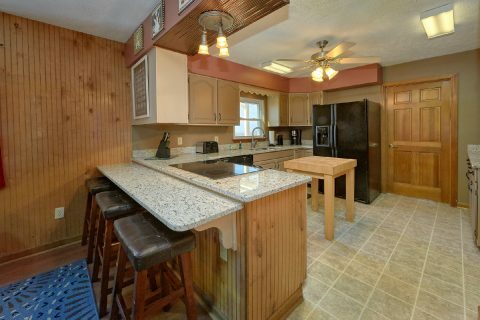 Nearby, the full kitchen with granite countertops is the perfect place for preparing a meal. 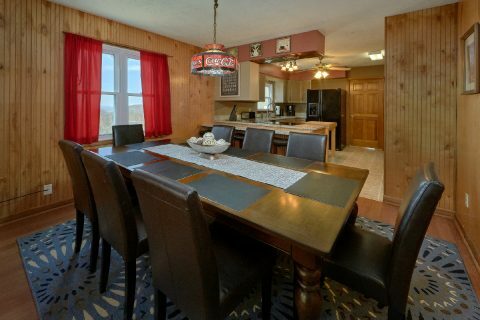 There's also a large dining table with seating for 8 and an additional sunroom with a table and chairs. 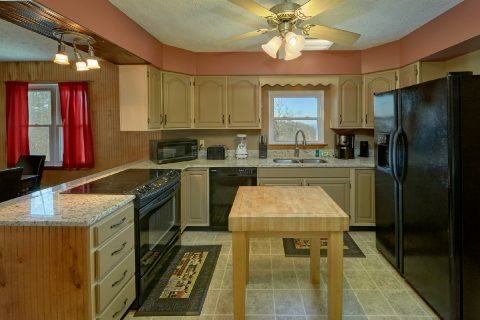 From the kitchen, you'll find a door to the backyard where the kids can enjoy playing in the fresh mountain air. 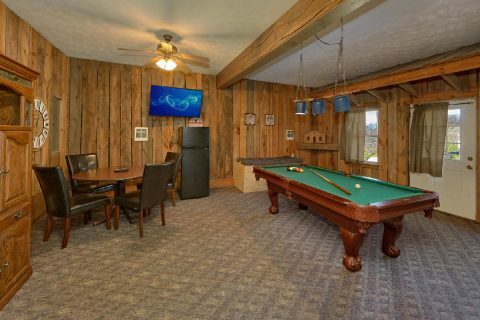 For some in-chalet entertainment, you'll have a blast in the large game room that boasts a pool table, cards table, and a refrigerator. 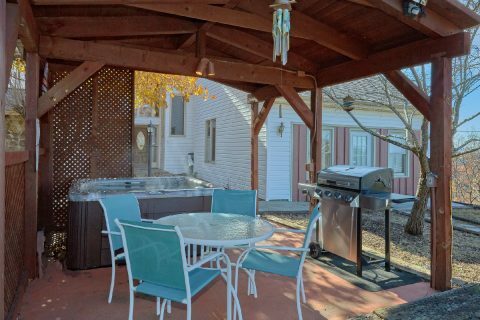 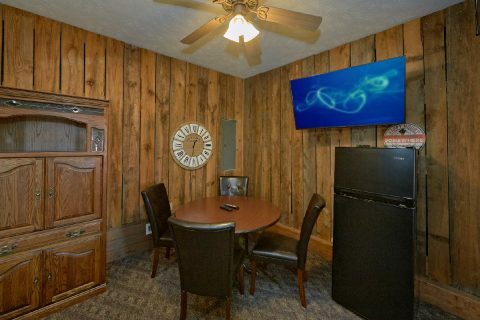 This room also has access to an outdoor area with a covered hot tub, a gas grill, a fire pit, and a table with chairs. 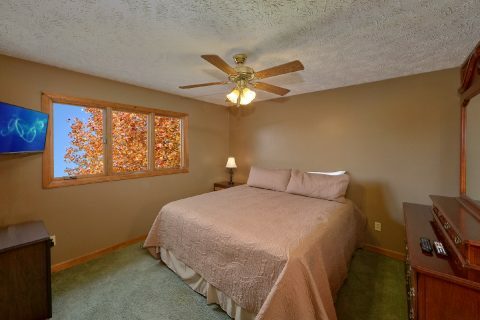 Once it's time to get some rest, you can look forward to unwinding in one of this rental's 5 bedrooms. 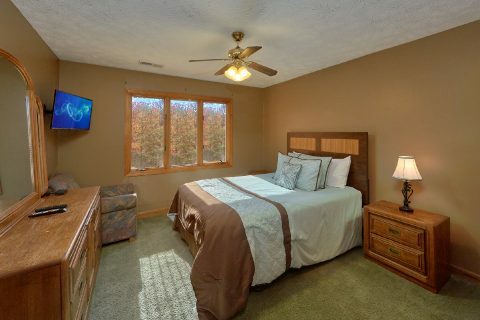 The main floor features a master bedroom that comes with a king bed, a large flat-screen HDTV, a fireplace, a private garden tub, and an en-suite bathroom with a shower. 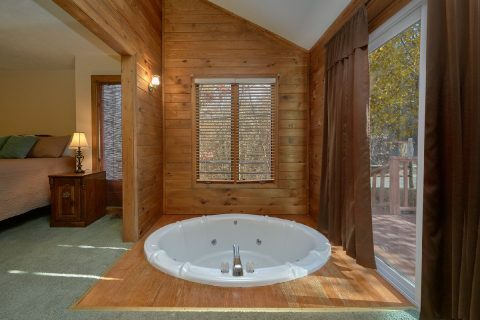 On the upper level, there are 4 bedrooms. 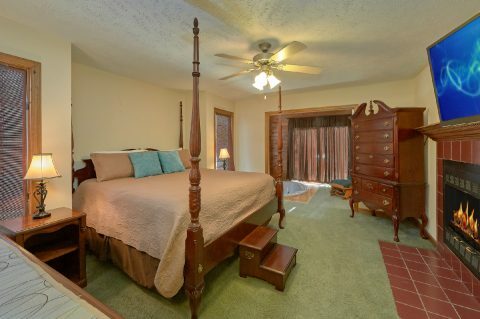 With 1 king bedroom, 2 queen bedrooms, and one bedroom with 2 twin beds, this level offers plenty of comfortable sleeping space. 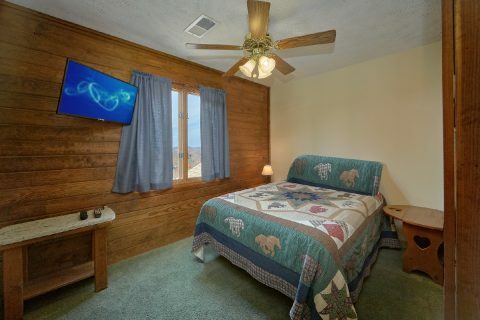 Altogether, "Casa Blanca" can sleep up to 10 guests in comfort. 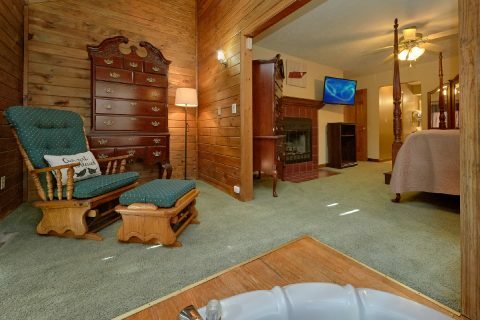 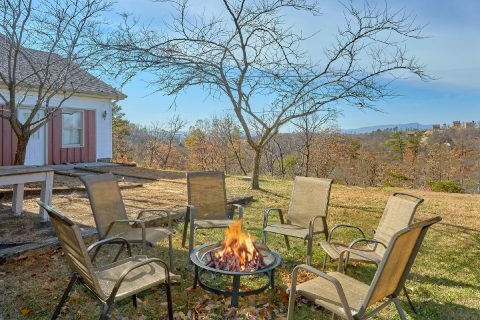 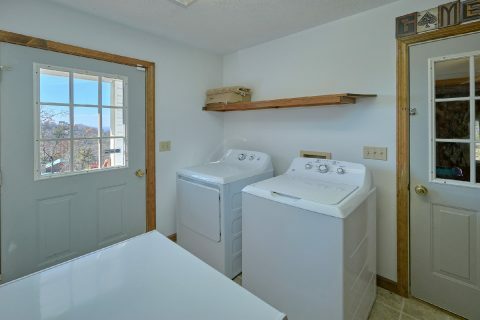 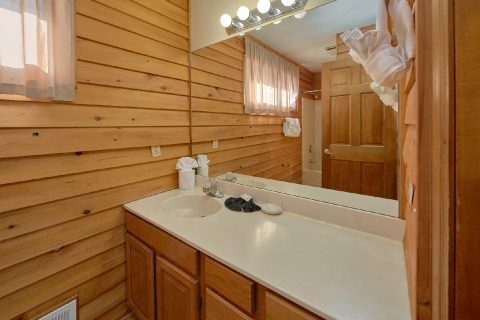 With useful amenities like parking for 4 vehicles, WiFi, and a laundry room, this chalet has everything you need for a fun, care-free Smoky Mountain vacation! 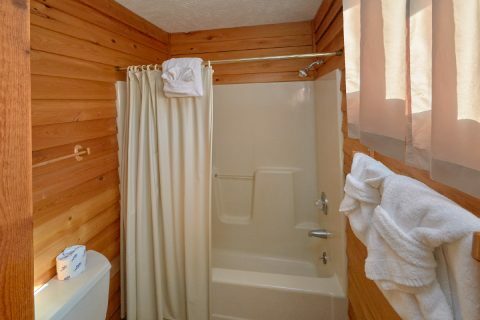 Reserve "Casa Blanca" with Cabins USA Gatlinburg today and you'll save 15% on your nightly rate with our special vacation rental discount!